What is the Advanced Biomarker + Fitness Lab? It’s a blood test that gives you the visibility to see what the key indicators of YOUR health look like. It’s also part of a training plan that helps you identify strengths and weaknesses in your personal health profile, then work with your TrainWithMe trainer to celebrate your strengths and improve your weaknesses. We all have imperfections. We can’t always see them, and truthfully, we might not want to. But just like working out is about getting stronger, this program is about working with your TrainWithMe trainer so you can use your test results to get stronger and healthier. It’s up to you to take the first step, but once you do, your TrainWithMe trainer is here to develop a plan based on concrete numbers, then keep you motivated and hold you accountable. 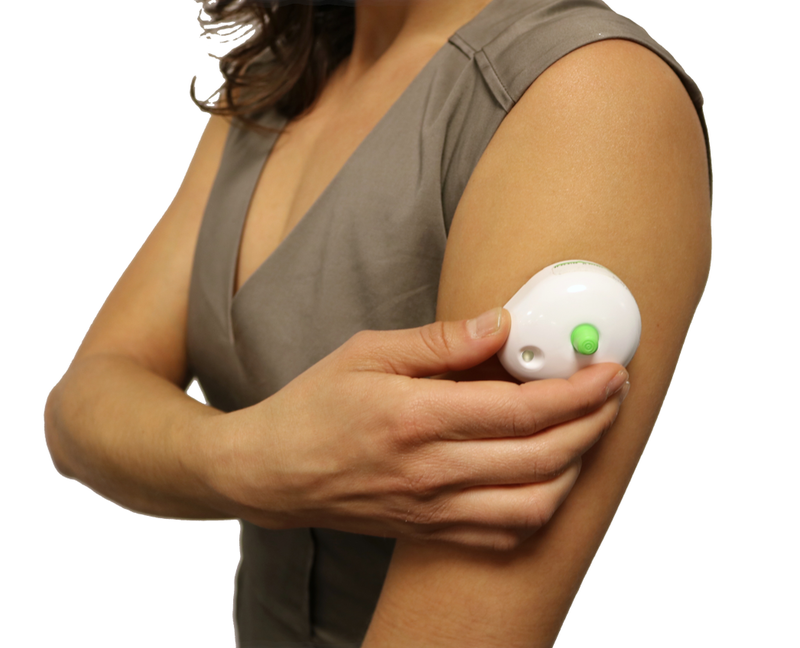 The painless blood test, powered by Brio Systems, is administered with the help of your TrainWithMe trainer. Whether you’re looking to track your blood sugar, cholesterol, inflammation or something else, your test is designed to capture as many facets of what it means to be healthy with a single test. Think of it as a grown up, wellness-minded version of the old-school Presidential Physical Fitness test, but so much better since your TrainWithMe trainer helps you use the information from your Brio Systems blood test to improve your overall well being. It’s not hard. It’s actually fun. And best of all, it’s highly personalized and all about YOU. Your blood test will evaluate eight biomarkers and your results will tell you where you rank on a percentage scale. It gives you the visibility you need to know that the hard work you’re putting in is paying off, and it empowers you to address weaknesses. With regular testing, you’ll know your wellness journey is constantly moving in the right direction. But that’s not all. The Advanced Biomarker + Fitness Lab offers much more than the average mail-in, finger prick blood tests. It’s part of an affordable, full-service wellness programoffering the highly personalized support you need delivered by a certified TrainWithMe trainer. Your trainer will develop a plan and keep you motivated as you work on making the lifestyle changes you need to adjust to improve your health. 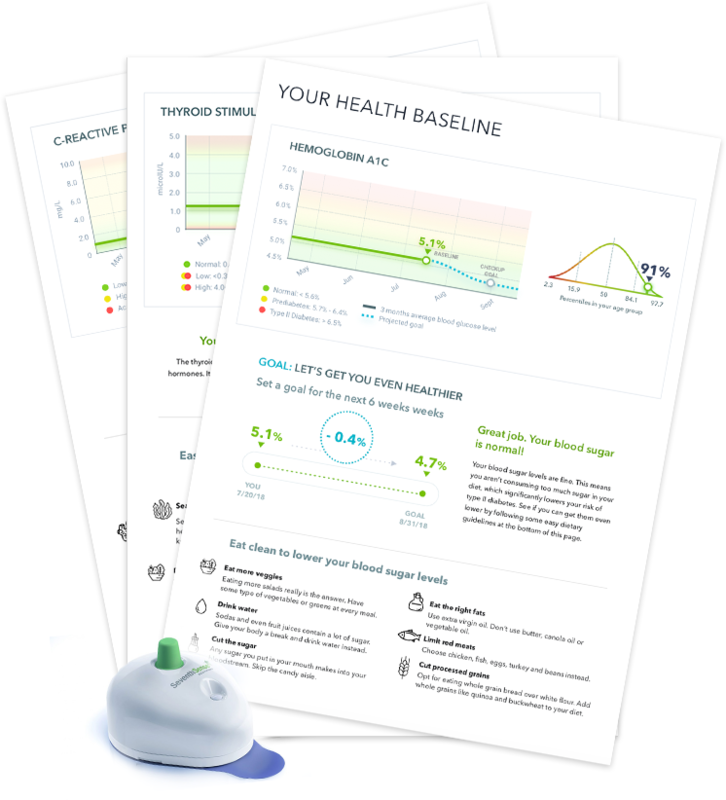 If you want to see concrete progress and keep an eye on blood test results that, until now, have been hard to track without a trip to the doctor, the Advanced Biomarker + Fitness Lab is designed for you. How is this better than any other training program? Once your test results are available, your TrainWithMe trainer is immediately empowered with the knowledge that’s necessary to create the most personalized workout program possible. Together, you’ll review your baseline test results, celebrate your achievements and then your TrainWithMe trainer will design a fitness plan that supports your strengths and addresses your weaknesses. You’ll get a fitness plan that, unlike most in-person personal training, is actually affordable. You’ll have access to an app to track your step count, walk + run distance, complete your personal training workouts, and track extra cardio activity all in one place, complete with a dynamic, social timeline that gives you visibility to your progress. Perhaps most importantly, though, your trainer will be the cheerleader you always needed to help keep you going. You'll get the motivation and accountability you need to help make healthy habits stick. You'll have the opportunity to message your trainer at any time if you have questions or concerns, and your trainer will be in touch regularly to give you a virtual high five on your best days and to keep you going when you need a little extra push. And back to that bottom line...making sure your investment pays off... you’ll have the guidance you need to make the lifestyle changes that are imperative to your health, paired with a blood test to prove that your investment is working for you. How can I know if the Advanced Biomarker + Fitness Lab is right for me? You are healthy, but have risk factors based on family history or lifestyle and you want to keep an eye on blood test results so you can stay ahead of the wellness curve. You want the peace of mind that comes from knowing the lifestyle habits you've developed are affecting your health in a positive way. This test is NOT ideal for people who have symptoms of disease but have NOT seen a doctor for treatment. It is important to see your doctor before attempting self-diagnosis of any disease. Please contact your TrainWithMe trainer for pricing.